The city of Oak Ridge bought a blighted home at the corner of Northwestern and South Purdue avenues in April and demolished it on Thursday, June 26. The home, which had been vacant, was extremely contaminated and dirty inside, and there were problems with every system in the small, single-story house, including the electrical and heating and cooling systems, said Matt Widner, Oak Ridge Community Development housing specialist. The ceilings were collapsing. “It was a mess,” Widner said. Matt Widner, Oak Ridge Community Development housing specialist, said the ceilings were collapsing at a now-demolished home on South Purdue Avenue. The next step hasn’t been determined. The Oak Ridge City Council could transfer it or decide to do something else with the property. Baldwin said Oak Ridge has three funds to buy and demolish blighted homes. Federal Community Development Block Grant funds target low- to moderate-income homes. Another fund known as EDI also targets low- to moderate-income homes, but it is limited to the Highland View Redevelopment Area, Baldwin said. 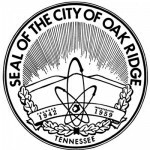 Then, there is also some money set aside by the Oak Ridge City Council. Baldwin said most of Woodland is in the CDBG area, but the now-demolished home at 138 South Purdue Avenue was just outside that area. Baldwin said this demolition was important because it was in a good area of Woodland where most homes are well-maintained and there are more owner-occupied houses. Widner said the total cost to buy and demolish the house was $29,826.36.